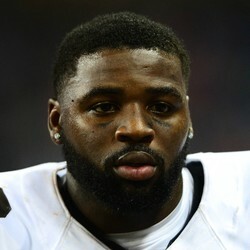 ESPN's Adam Schefter is reporting the New Orleans Saints have released RB Terrance West. West's stay in New Orleans didn't last long. His release likely speaks volumes in Jonathan Williams' play in training camp and through two preseason games. Moreover, with West out of the picture, Williams is on the fast track to opening Week 1 as the Saints' early-down running back. Still, I'm not sure how much stock I'll put into Williams from a fantasy football perspective. While he was the talk of the town as the Bills' RB2 prior to his Buffalo release, Mark Ingram will reclaim his job upon his Week 5 return, and due to Alvin Kamara's presence, limits Williams' season-long upside. I'd likely target Williams in a similar manner as I did DeAngelo Williams during the years Le'Veon Bell was serving his early-season bans. However, DeAngelo Williams had a history of playing well at times during his career up to that point, which can't be said for Jonathan Williams. He should remain undrafted entering Week 1.